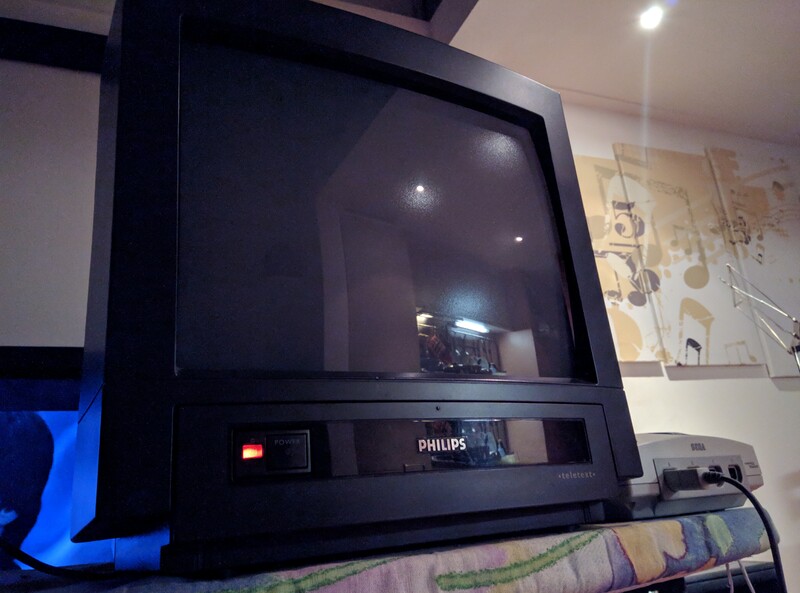 I have an amazing and really amazing again anubis Philips 15 FSQ TV screen made in Italy (and Austria tube). 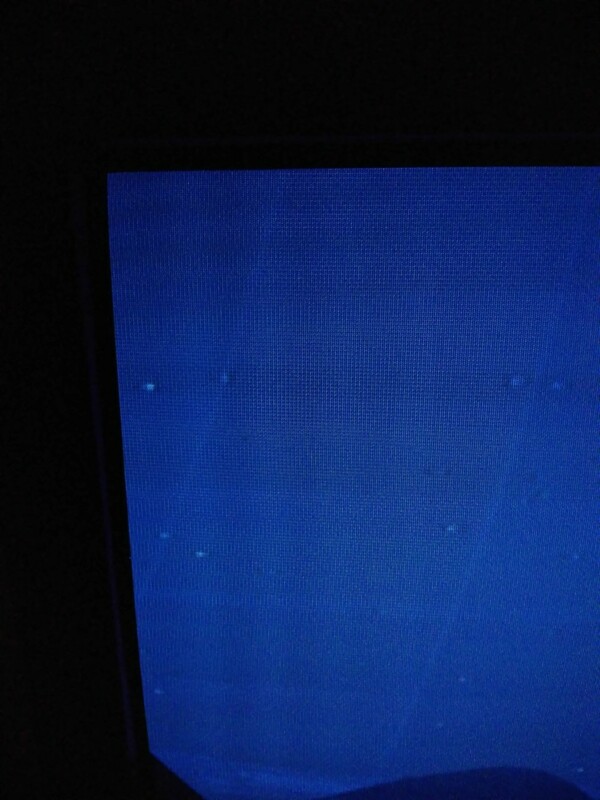 It looks like ringing/overshoot in the signal, which is either caused by a bad signal from the input source or failing components inside the TV itself. 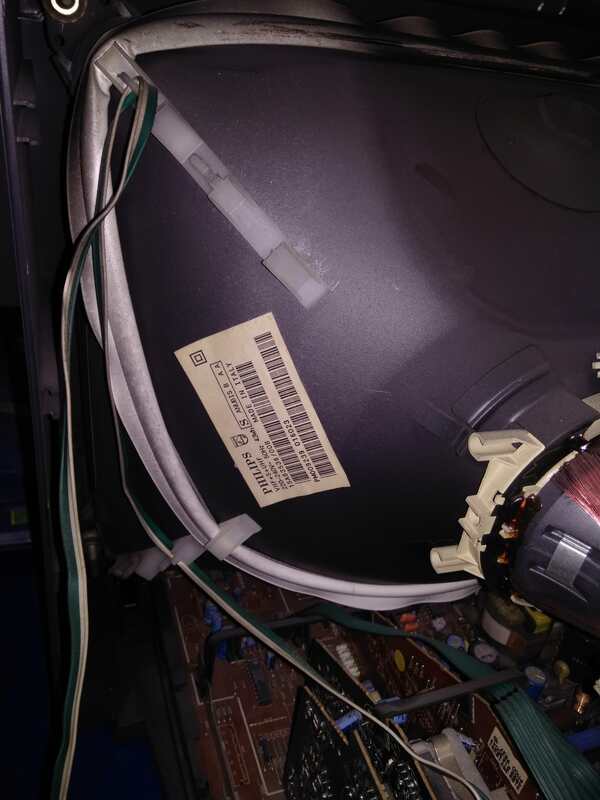 Capacitors are usually the first to go in old TVs because they're stuffed in a poorly ventilated box with a hot vacuum tube. Other component failures also can be possible, but 30+ years in a hot box puts lots of miles on capacitors. On the signals side, it looks like you're either using composite video, or even worse, an RF modulator. Both signal types are extremely lossy, especially RF because everything is muxed together into one signal going into the TV. Composite video is a lossy standard which multiplexes both chroma and luma information into one signal to feed into the TV. Demuxing the signal inside the TV is never perfect, even on the best and most expensive equipment and usually results in numerous artifacts. Such artifacts can range from color loss, dot crawl, color banding, blurriness, streaking, ringing, etc. RF adds to that complexity by also adding sound, so signal degradation is a real problem. If you have no experience with analog and high voltage electronics, I would just say leave the TV as is until it develops a major fault, or has signs that it will have a major fault in the future. Inspect all of the PCB and daughterboards inside the unit and look for signs components are getting too hot, which would be the PCB turning dark brown or black under them. If you don't see anything obviously wrong, I'd just put it back together and use it as is. The signal is great, is RGB with original cable (dreamcast and wii so original sega and original Nintendo RGB cables). So no composite or rf but best so far i can use. I was thinking what to change or in case change them all...Very propably in the power supply area and or deflection area. Could be also a loss power exit in the flyback? Capacitors don't need to show physical symptoms to be failing. Old caps tend to get electrically leaky where they start passing DC current across them (capacitors are supposed to block DC and only pass AC), or high ESR or fail open/short. You'll need an ESR meter and a leakage tester to find these faults, which can be expensive. There are cheap chineseium ESR meters available on Ebay, but leakage detectors are a whole lot more expensive because nobody makes them anymore. You'll either have to build your own, or find an old one from the vacuum tube era to restore and use. Power supply and deflection problems would have different symptoms than just ringing in the picture. 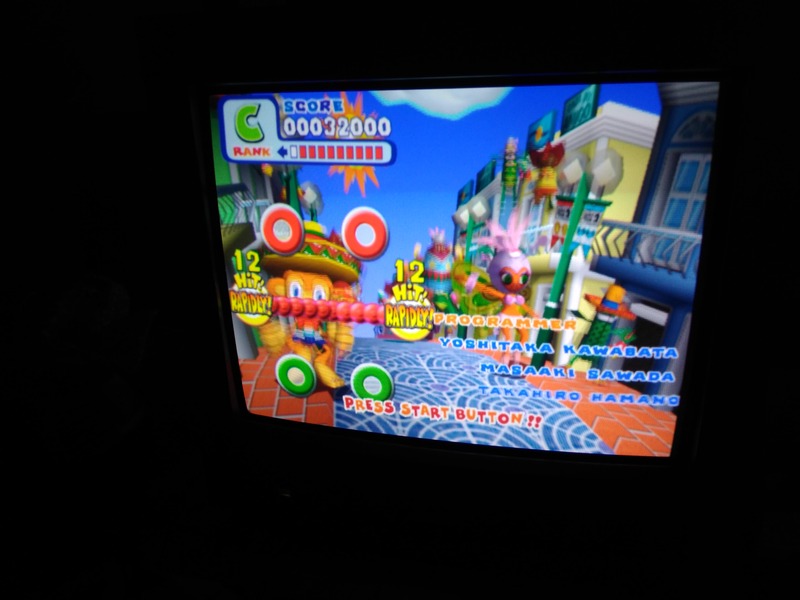 If you had a power problem, the CRT would be blooming when the intensity of the image changed (blooming is when the picture expands/contracts), usually coupled with audio distortion like buzzing. Deflection problems would manifest in geometry issues, which your TV doesn't have. 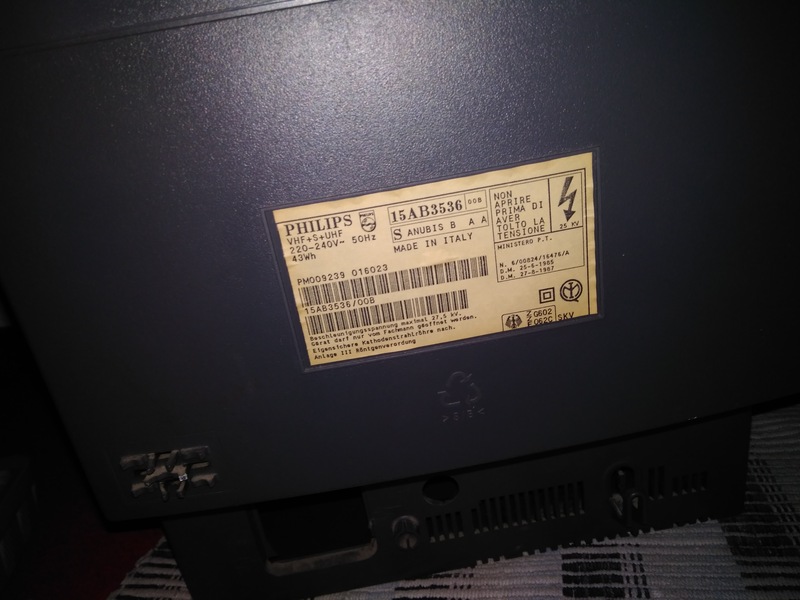 These parts of the TV are where the high voltage is, so I wouldn't mess with them. If there were power issues with the flyback circuitry, you'd have blooming or severe distortions on the screen. So in your opinion caps are or could be a very guilty ones. The image is perfect in terms of sharpness, contrast, colors and gemotry (gemotry actually i don't have a better tv in that area...stunning). Would you proceed changing in which way? I mean which order?